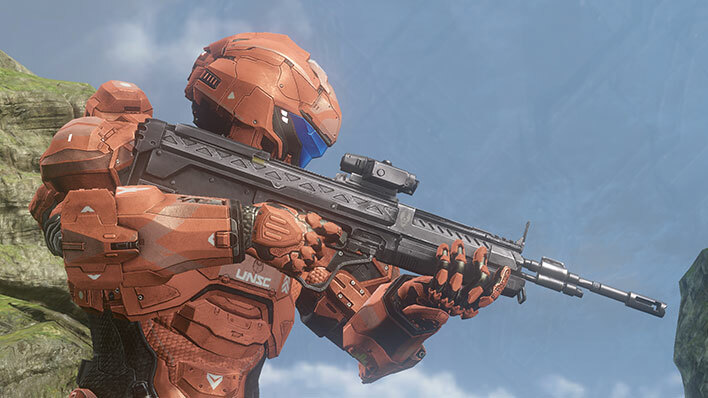 The Assault Rifle is designed for close-quarters combat with lethal efficiency, regardless of hostile environmental conditions or duration of use in the field. 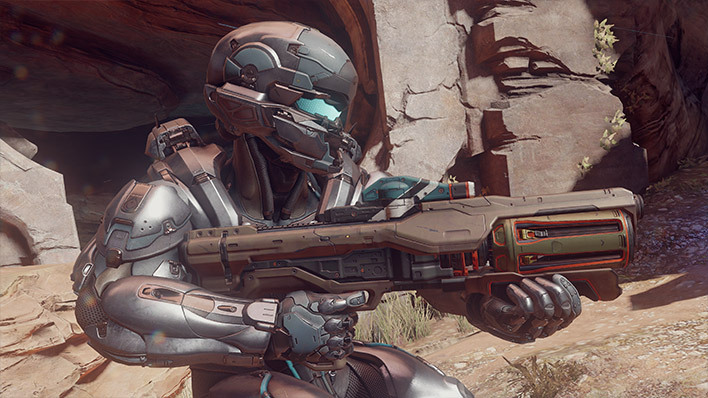 The Battle Rifle is a gas-operated, magazine-fed infantry rifle proven to be an extraordinarily versatile weapon for a wide variety of ranges. 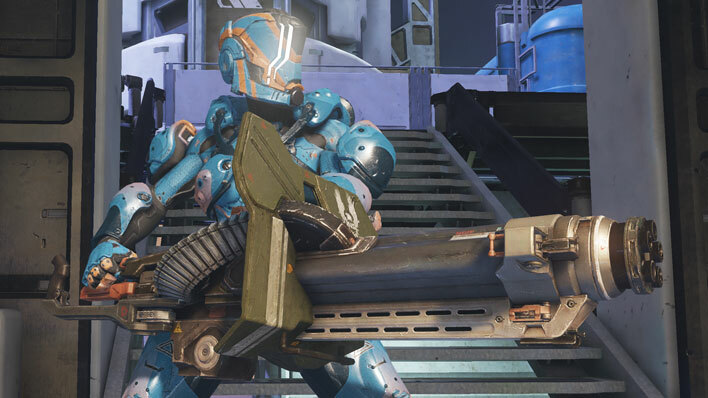 Rapid-fire heavy machine gun introduced as the successor to the venerable M41 and M46 LAAG. 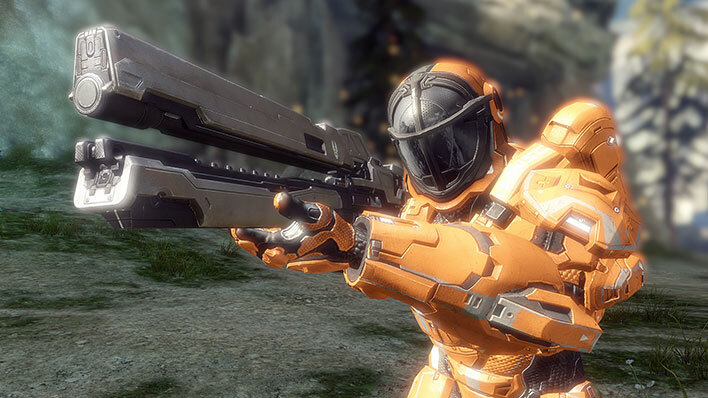 The Designated Marksman Rifle (DMR) is intended for use by personnel who can take advantage of smart-linked telescopic sights. 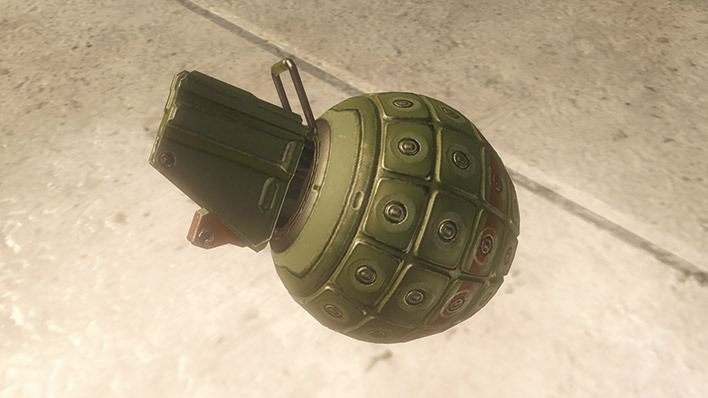 The Frag Grenade is a high-explosive, dual-purpose explosive device used by UNSC forces. 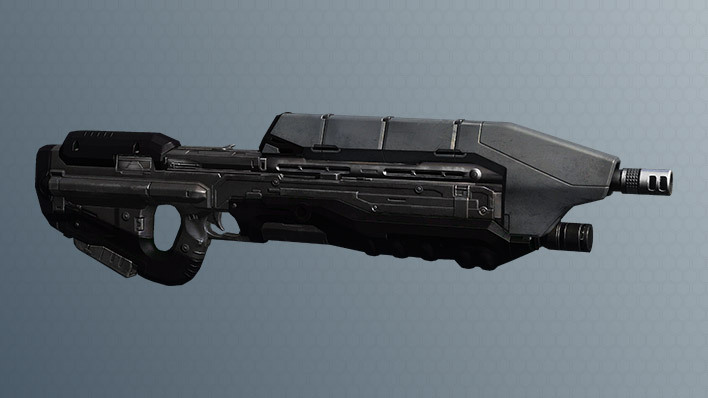 The Hydra Launcher is a multipurpose guided missile launcher characterized by its targeting speed and efficacy against both infantry and vehicles. 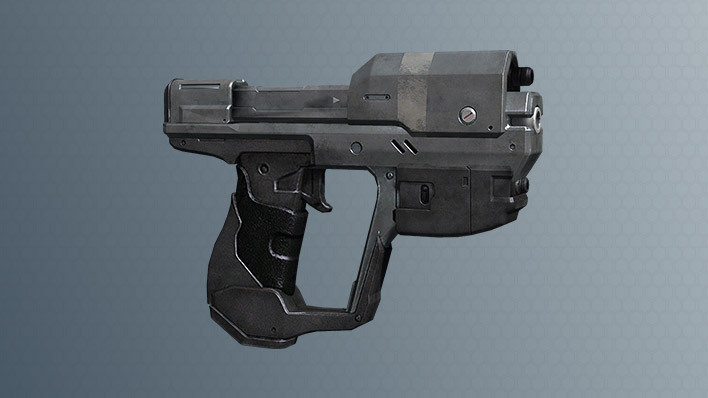 The Magnum is a semi-automatic, recoil-operated, magazine-fed handgun and the standard personal sidearm of all branches of the UNSC. Magazine-fed twin-pod launcher that can fire a range of unguided rockets and guided missiles. 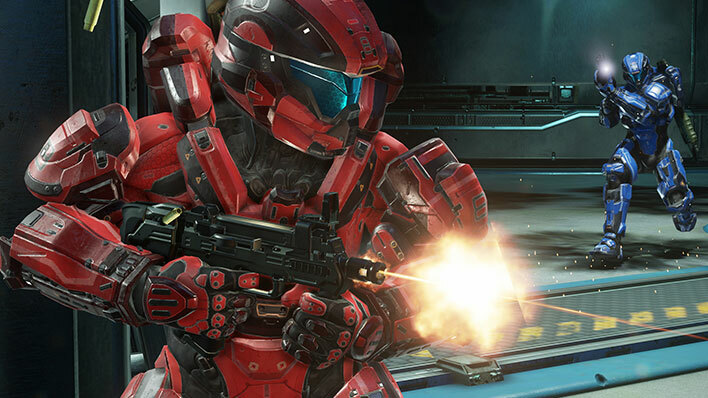 Each pod can be detached and used by Spartan personnel. 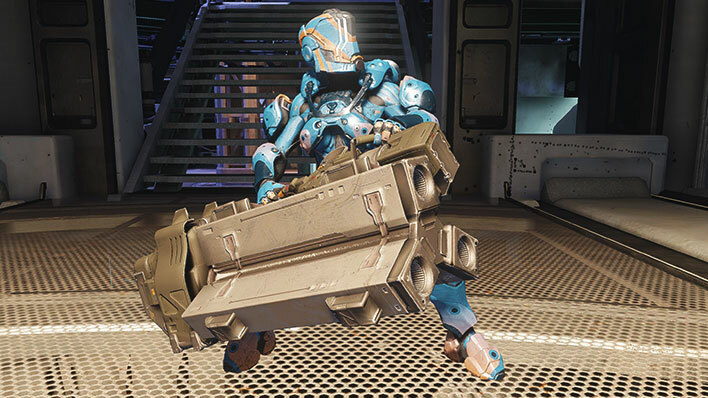 The Railgun fires a dense tungsten projectile at hypersonic velocities to deliver massive amounts of kinetic energy to its target. 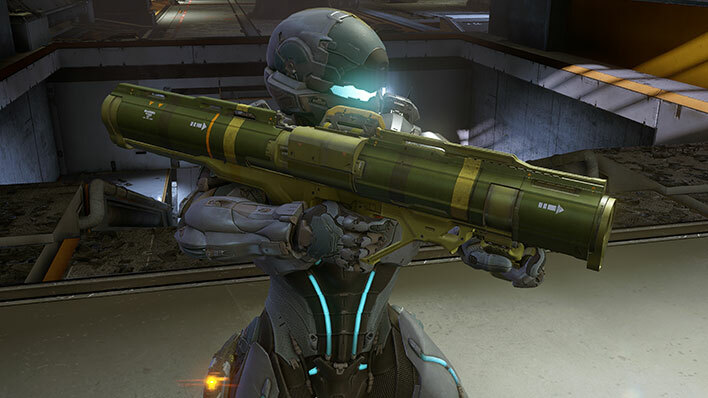 The Rocket Launcher is a magazine-fed heavy weapon that fires a range of guided and unguided munitions. 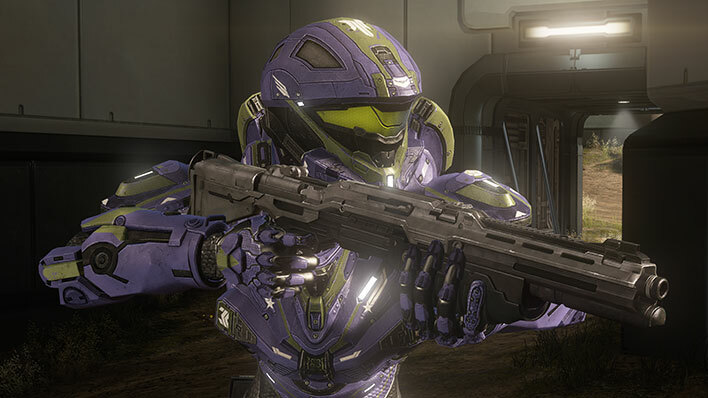 The Shotgun is a dual-tube-fed, pump-action tactical shotgun issued to ship’s troops and infantry expecting close quarters combat. 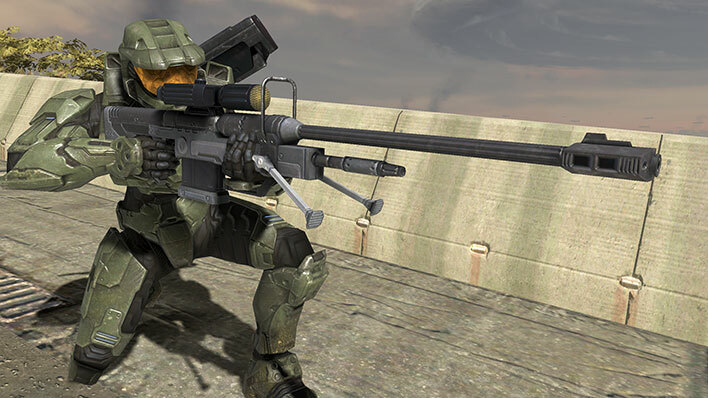 The Sniper Rifle sees extensive anti-personnel use due to its long range and ability to penetrate both dissipative energy shielding and heavy armor plating. 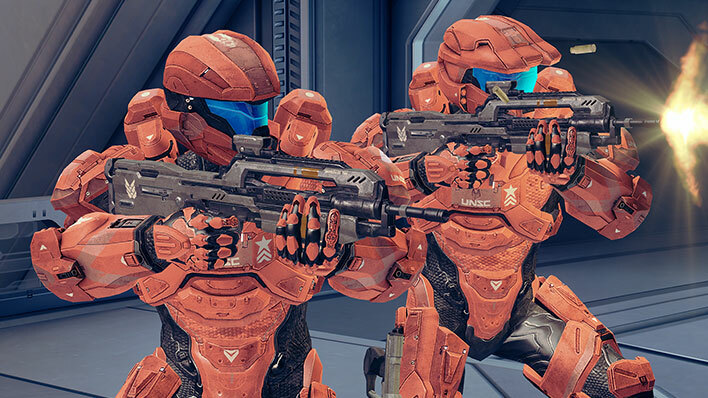 The UNSC issues fully automatic personal defense weapons to vehicle crews and infantry expecting close-quarters combat. 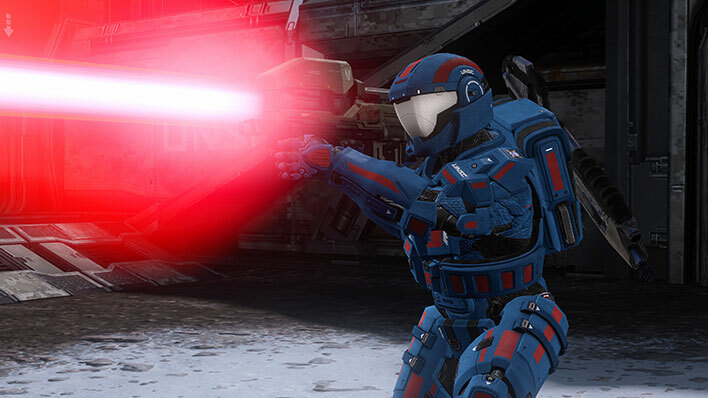 The Spartan Laser is a shoulder-fired, smart-linked high-energy laser weapon used in an anti-vehicle role.